Would Contracting Out For Services By Government Be Unconstitutional? The question as to whether the contracting out for services by government would be deemed to be unconstitutional is a most important one. The question is especially relevant as very recently the government expressed its intention to contract out certain nursing services to an employment agency. Government is concerned about not increasing the established public service staff which size has come in for serious criticisms over the years by reputable financial institutions for being too bloated. Additionally, government is extremely concerned that further increasing the established staff would jeopardize the government’s home-grown Structural Adjustment Programme, which programme was arranged in sync with the World Bank and the International Monetary Fund (IMF). Government’s position is that if the employment agency approach is taken there would be no increase in the established public service staff as the agency would then have the responsibility of meeting its contractual obligations to approximately 80 nursing assistants who seem to be well qualified, ready and willing to work. The Commission itself, in accordance with section 83(1) of the Constitution consists of 5 members who are appointed by the Governor-General. 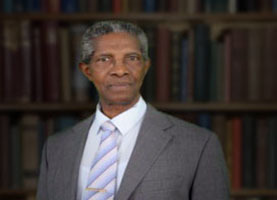 The Prime Minister in his own deliberate judgment submits the names of 3 members including the chairman, and after consultation with the Public Workers’ Union and the Grenada Union of Teachers respectively, submits the names of the other 2 members. Members of the PSC are appointed for a 3-year period and their appointments cannot be terminated except for inability to exercise the functions of office (whether arising from infirmity of body or mind or other cause) or for misbehaviour. Termination of office must be on recommendation of a 3-member tribunal appointed for that purpose by the Governor-General and this tribunal has to be selected by the Chief Justice. Section 83 (12) of the Constitution, provides that the PSC may by regulations or otherwise regulate its own procedure and shall not be subject to the direction or control of any other person or authority. The current regulations which guide the activities of the PSC are the Public Service Commission Regulations of 1969. As a consequence of the above, there is no question that the PSC has the sole constitutional responsibility of appointing persons to the public service. However, the main issue at hand relates to whether the act of contracting an independent entity by government for the purpose of providing nursing services constitutes “appointing persons to the public service” in contravention of section 84 of the Constitution. It is to be noted that section 111 of the Constitution provides the following definitions: “public office” means any office of emolument in the public service; “public officer” means a person holding or acting in any public office; and “the public service” means, subject to the provisions of this section, the service of the Crown in a civil capacity in respect of the government of Grenada. Significant questions which may be asked therefore are: Does contracting the services of an independent agency by government create a public office on the part of that agency? If that independent agency goes on to contract the services of qualified nursing assistants in the Ministry of Health, could those nursing assistants be considered to be public officers working in the public service? It seems rational to hold the view that government’s intended action as stated above would not be “appointing persons to the public service” as government is neither creating public offices nor adding more public officers into the public service. Those nursing assistants ought not to be considered to be members of the established staff of government. As a consequence, it may reasonably be determined that the contracting out for services by government ought not to be considered to be unconstitutional.